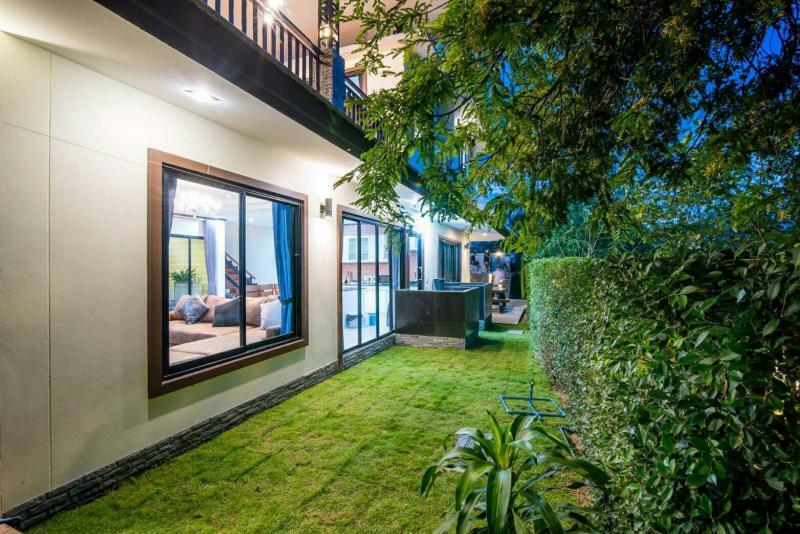 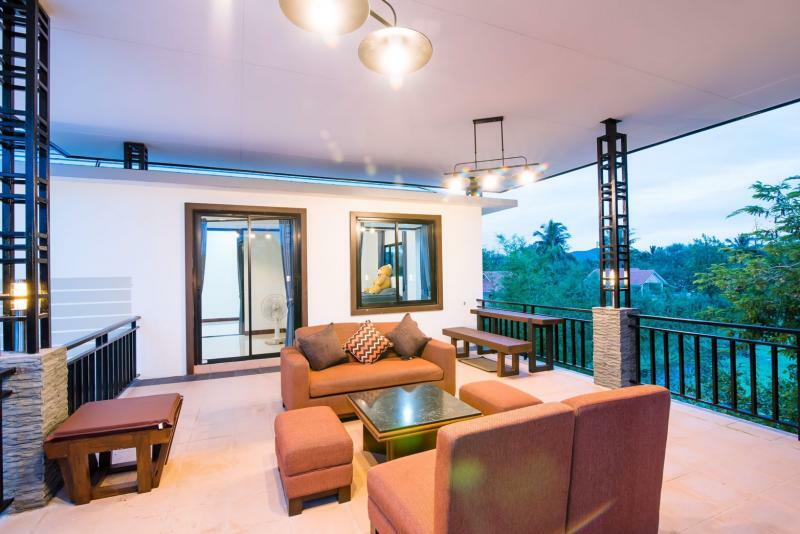 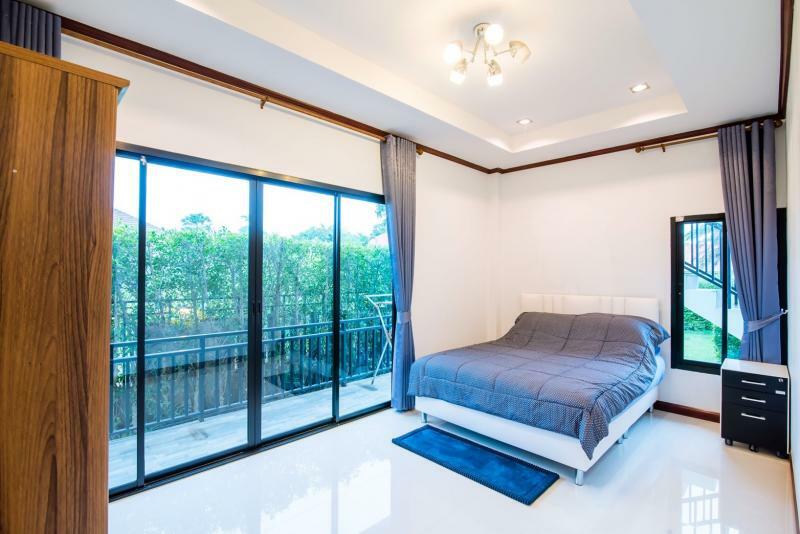 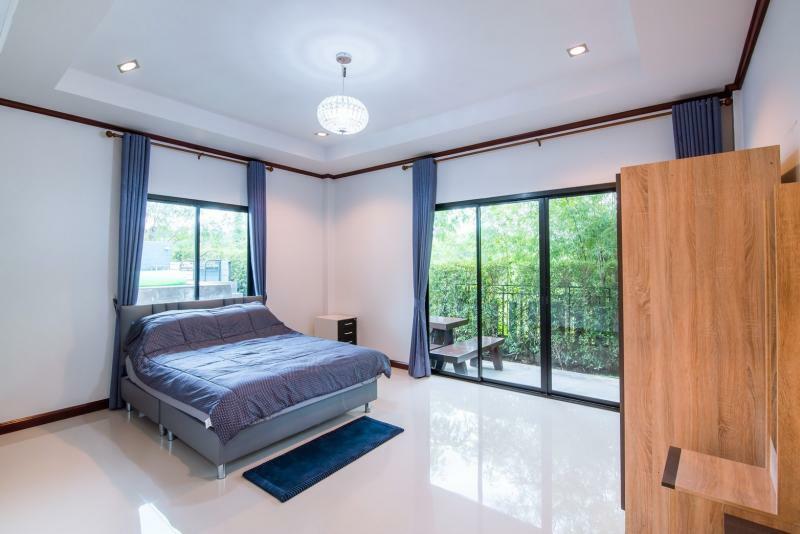 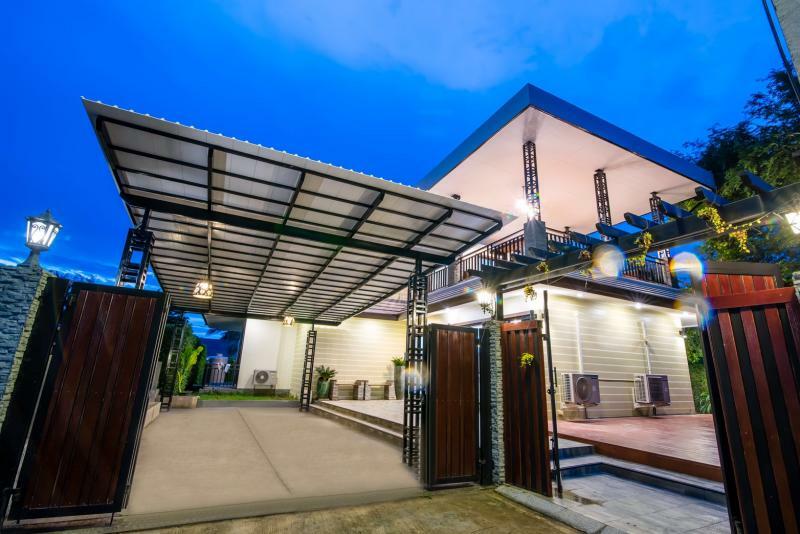 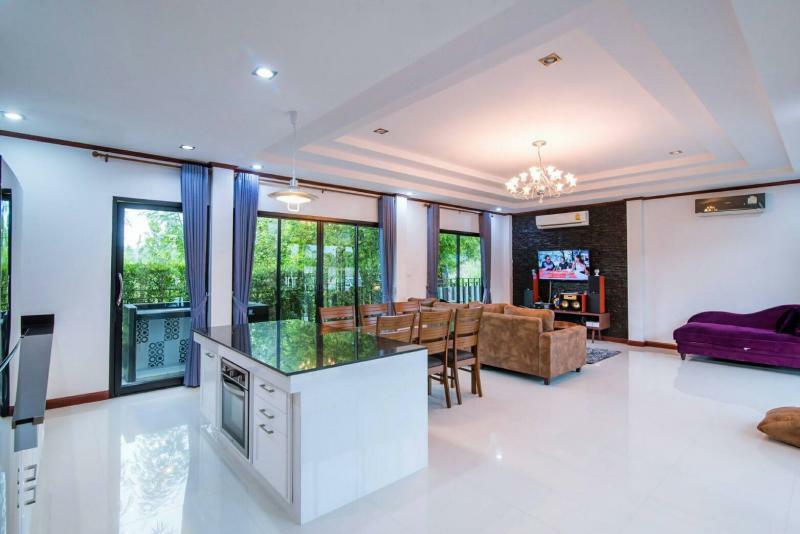 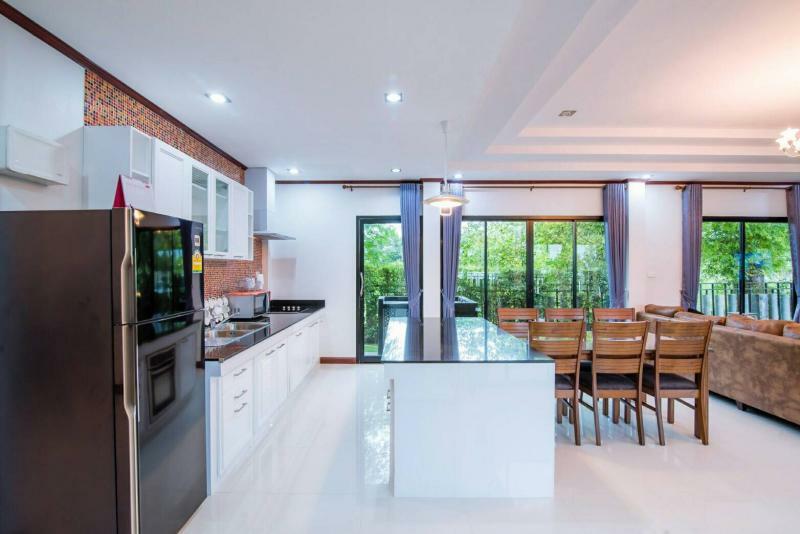 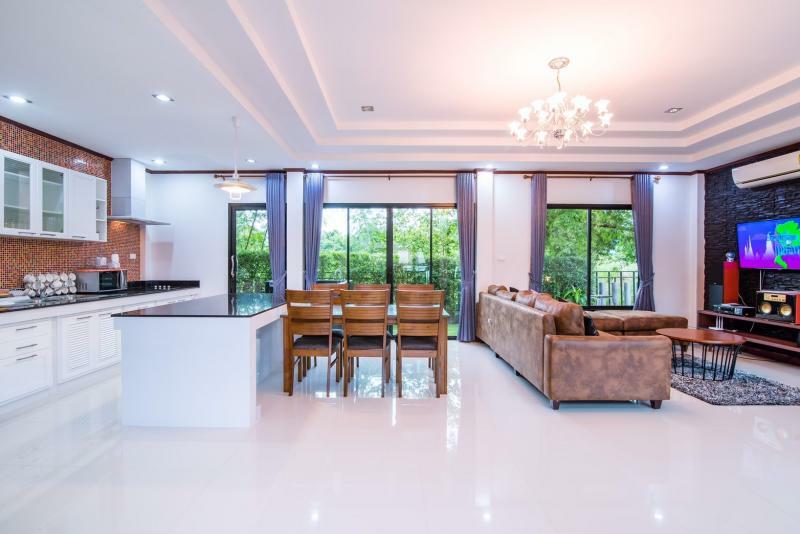 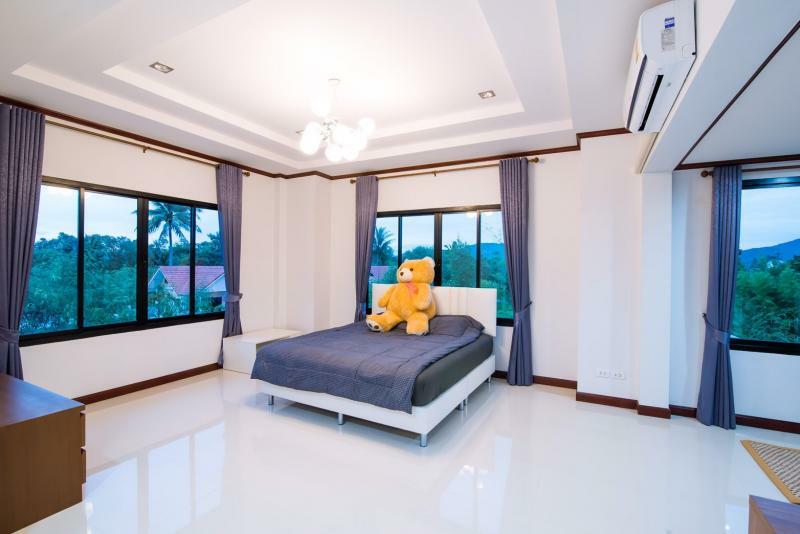 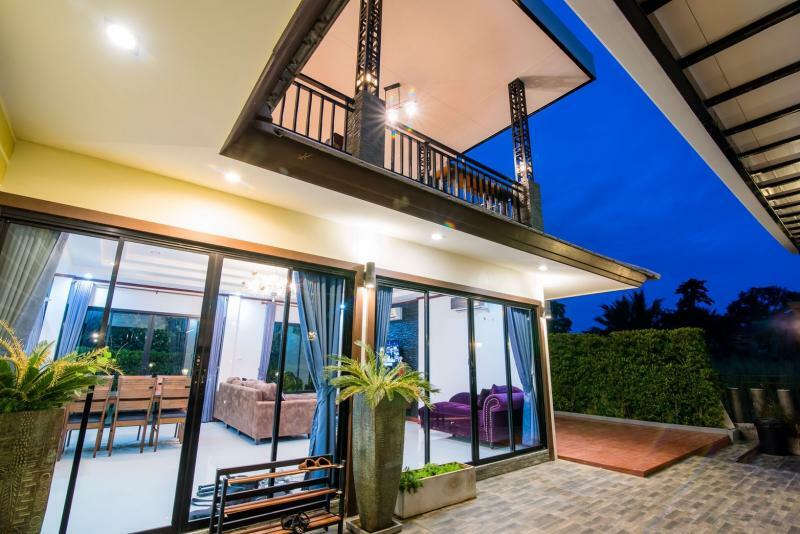 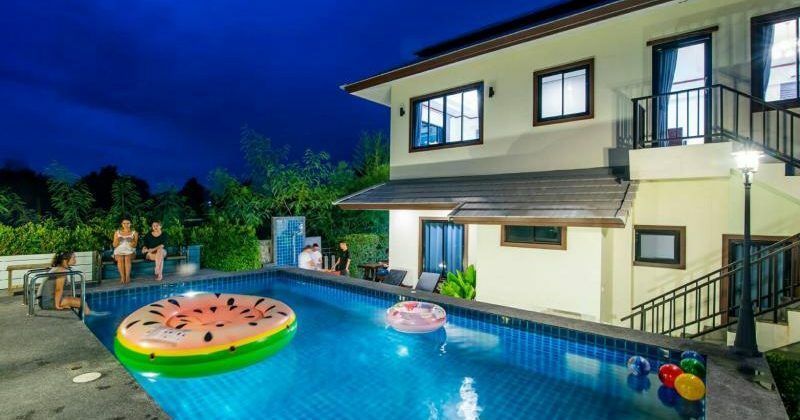 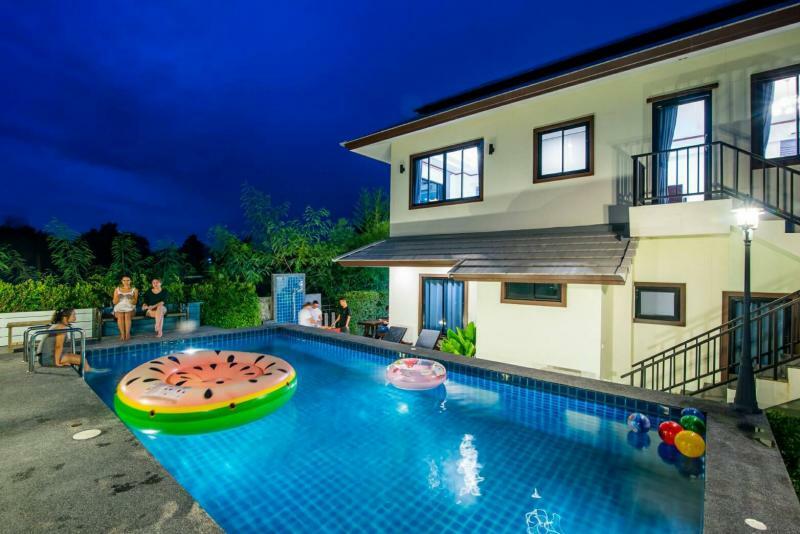 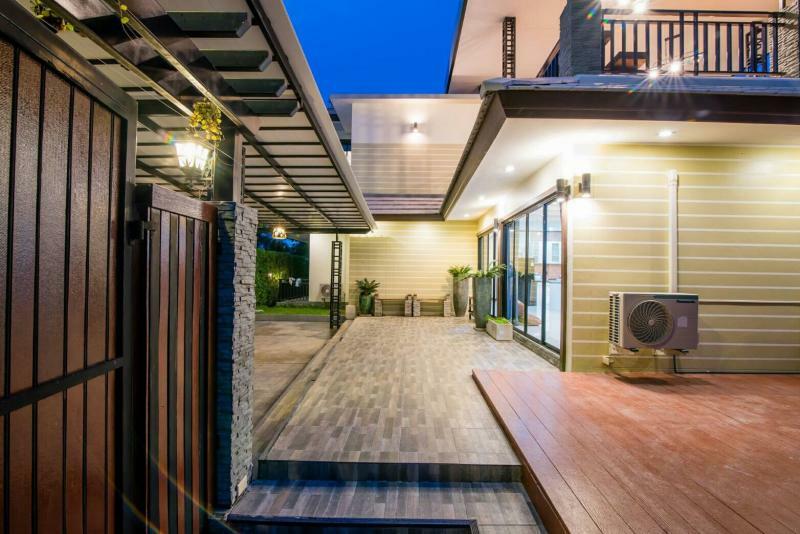 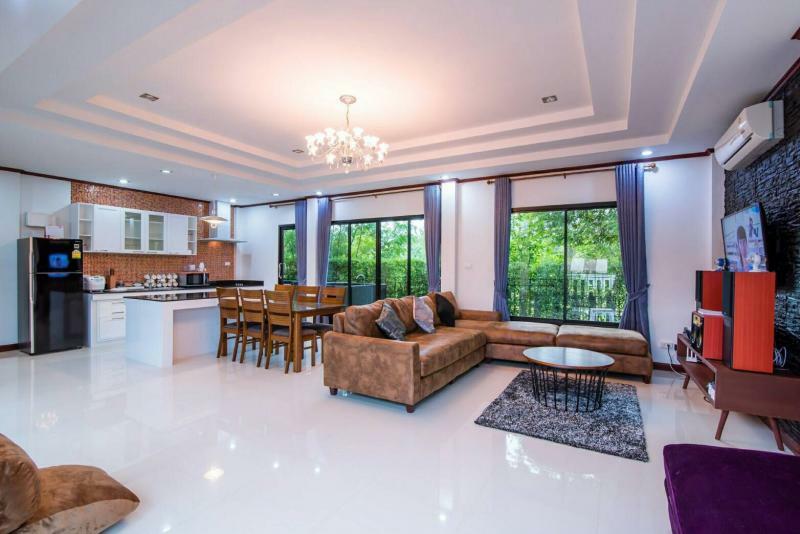 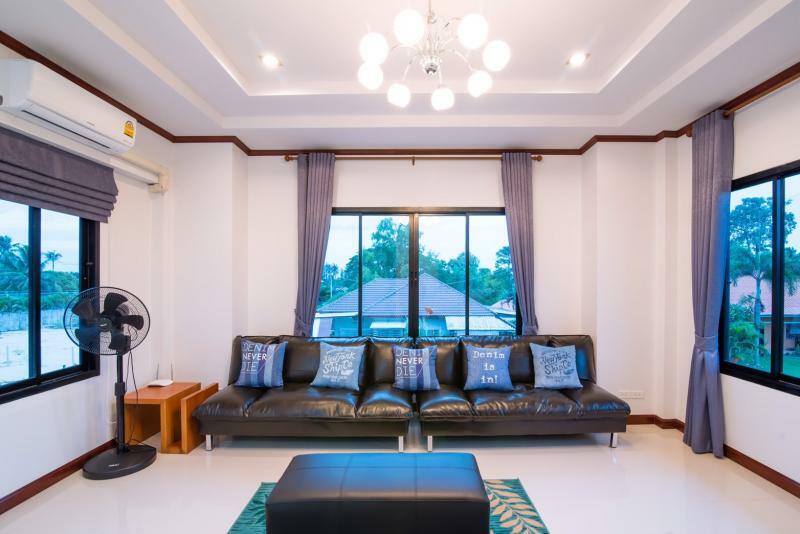 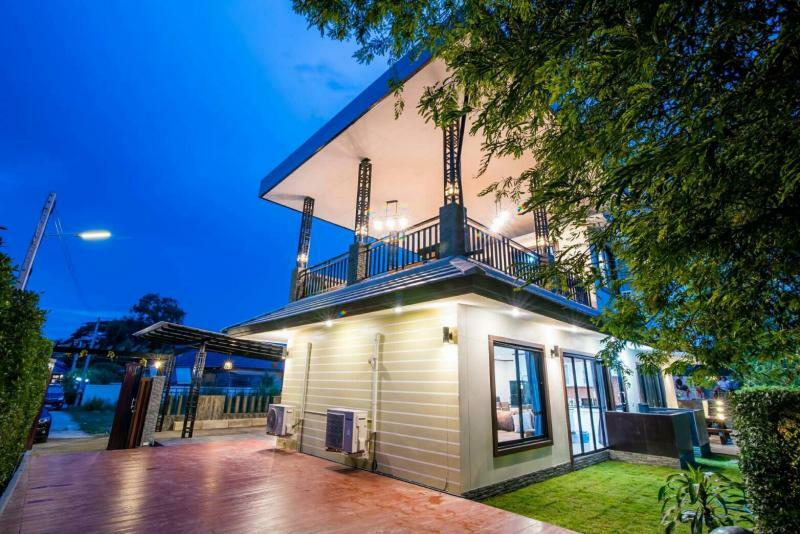 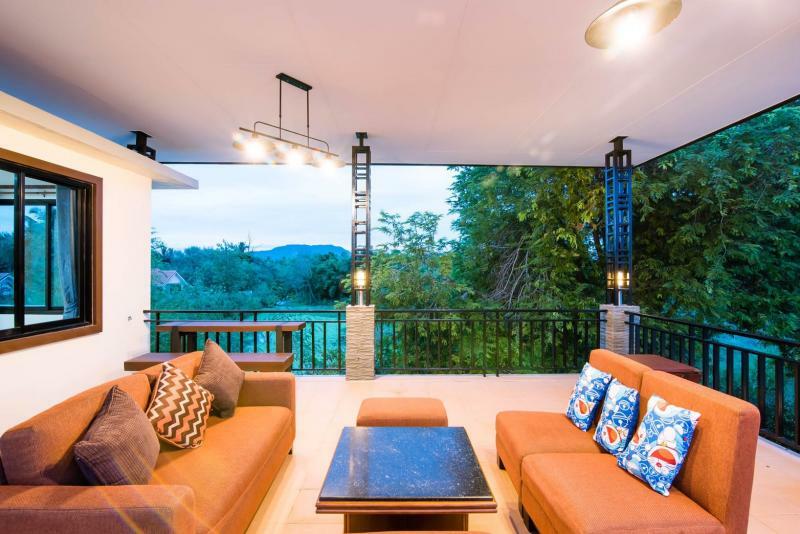 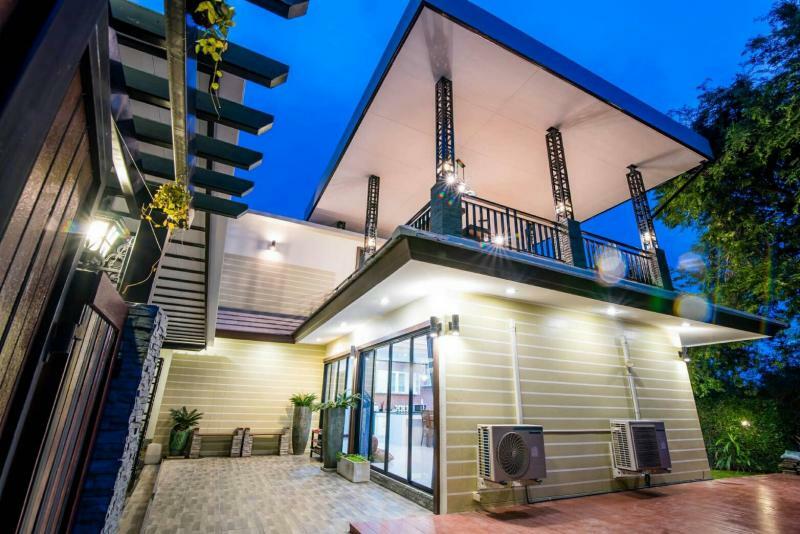 Located approximately 10 minutes west of Hua Hin, well-built 4 Bedroom 3 bathroom home. 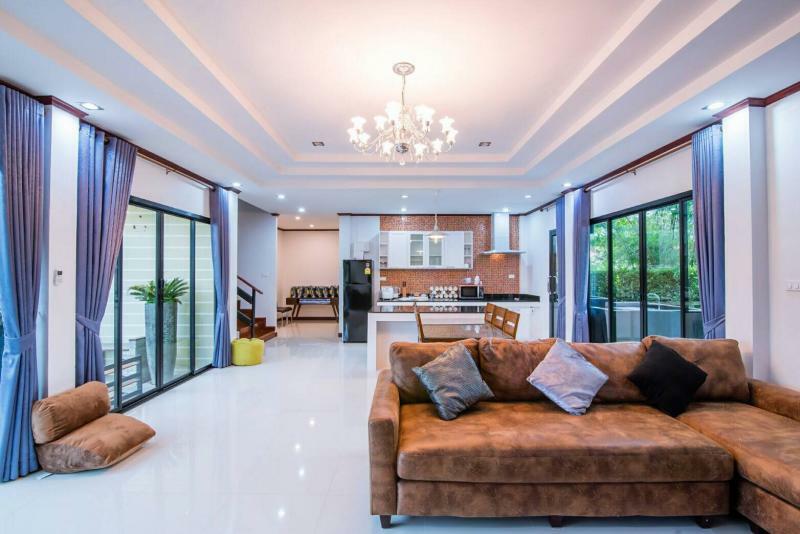 Sitting on a large land plot of 532 square meters of pristine gardens this home features special areas everywhere you look. 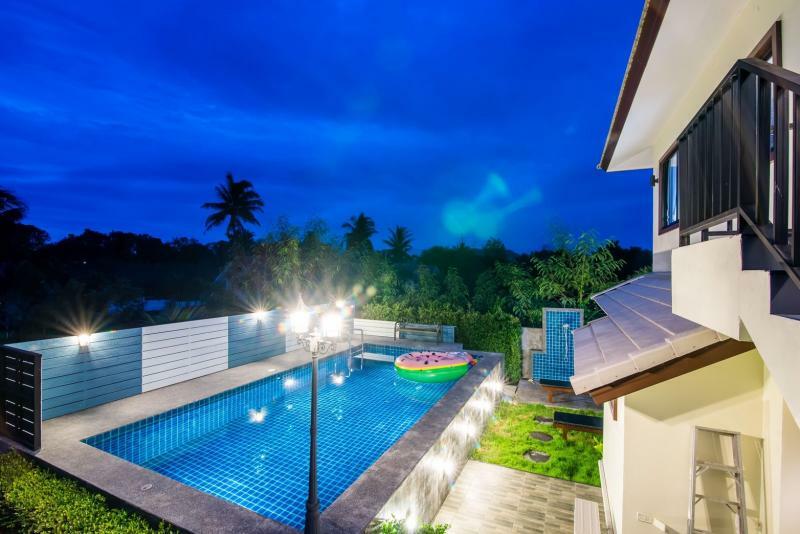 The House has 4 bedrooms and 3 bathroom’s, a large European Kitchen and lounge with private swimming pool.